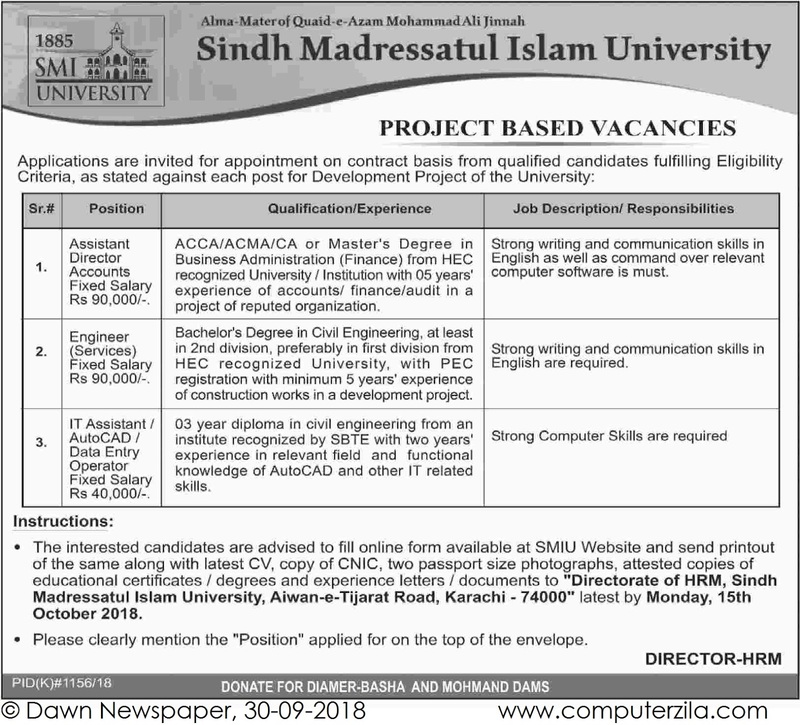 Project Based Vacancies at Sindh Madressatul Islam University (SMIU) in Karachi Cities. Sindh Madressatul Islam University is a Government Organization which requires employees for Engineering, Assistant, and Director Jobs in cities Karachi. Application are invited for appointment on contract basis from qualified candidates fulfilling Eligibility Criteria, as stated against each post for Development of the University.